Using a baby monitor is a great way of keeping tabs on your baby as they sleep when you are in another room doing chores or relaxing. It allows you to hear them when they wake-up or if they are in distress so you can get their quickly to take care of your baby. Audio Monitors – This type of monitor allows you to hear what is going on with your baby while you’re in another room. These monitors broadcast your baby’s breathing, laughter and cries to you wherever you are in the house. Turn the monitor off when you don’t need it as it can broadcast your private conversations through it and neighbors may also be able to hear them. 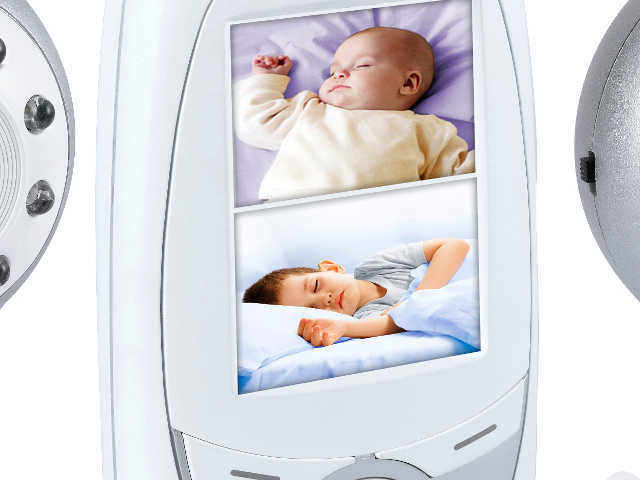 Video Monitors – You can not only hear your baby through this monitor, but you can see them as well, so you can check on them from time to time without having to worry you will wake them up. Get a video baby monitor with an infrared, high technology camera and you will also be able to check on them when the room is dark. Movement Monitors – By placing a sensor pad under the baby’s mattress, this monitor will alert you when your baby hasn’t moved in several seconds, usually about 20 seconds. Try to get a model with a sensor adjustment so you can lower or raise the sensitivity of the monitor to minimize false alerts. You will want one that automatically switches to battery power as well in case of a power outage in the middle of the night. Broadcast range – You will want a monitor that you can take anywhere in your house, so you will want to check the broadcast range for each monitor you are considering. The minimum range should be approximately 200 feet. To buy a monitor with a greater range, you will pay more, but it will be worth it. Portability – Most parents want to be able to take their monitor wherever they go in the house, even if it is outside to sit on the patio. Portable monitors run on battery power, so you will want to find one you can recharge when the power runs down rather than investing in dozens of batteries. Frequency – If you have a cordless phone or other wireless communication devices in your home, you could experience interference that prevents the baby monitor from working correctly. Buy a monitor that allows you to change the frequency to minimize interference problems.